The ginormous fair was divided into 2 sections, one for kids and one for babies, with retailers catering to each segment conveniently located near to each other. On the kids side of things where I spent most of my time, you’d discover products, services and activities that caters to education, health and fun aspects of childhood. It was mega fun. 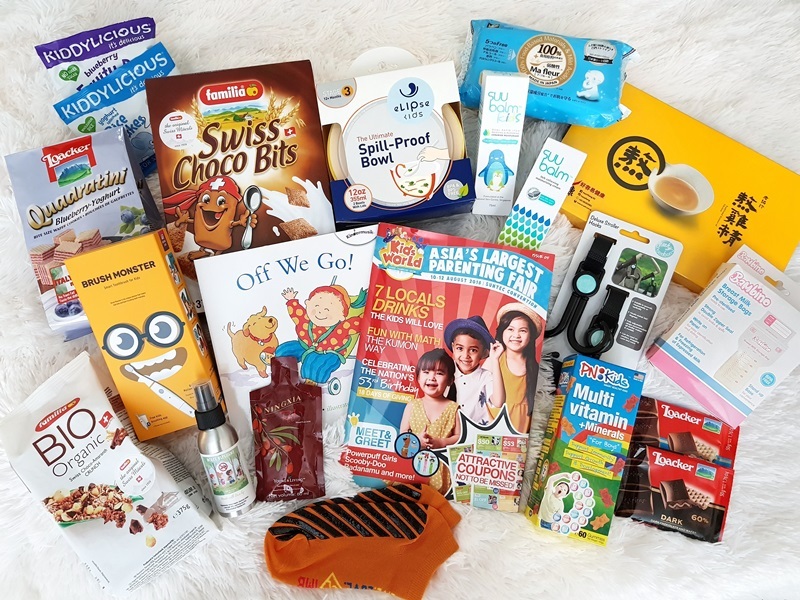 I love how they catered to a wider age spectrum because my younger one is still only 2 and it was so easy for us to just pop by the baby side to grab some snacks at a good deal. I walked away from this fair actually being a whole lot more knowledgeable. I got introduced to quite a few new products and services that were very interesting. This is THE fair for parents to go to for the latest in the market! For example, these were the new products and services I didn’t know about till this fair! @elipsekids‘s Ultimate Spill-Proof Bowl – made in Singapore! Check out my experience at all these booths in my pinned IG Story titled Kids World Fair. I was super excited when I knew about this. The list of classes and workshops had a good variety and I couldn’t decide which to prioritize. The below few caught my eye and fit our schedule so we went for it! There were so many more. If you have always wondered about any enrichment class or activity for kids, this is the fair to experience it all in a single stop! 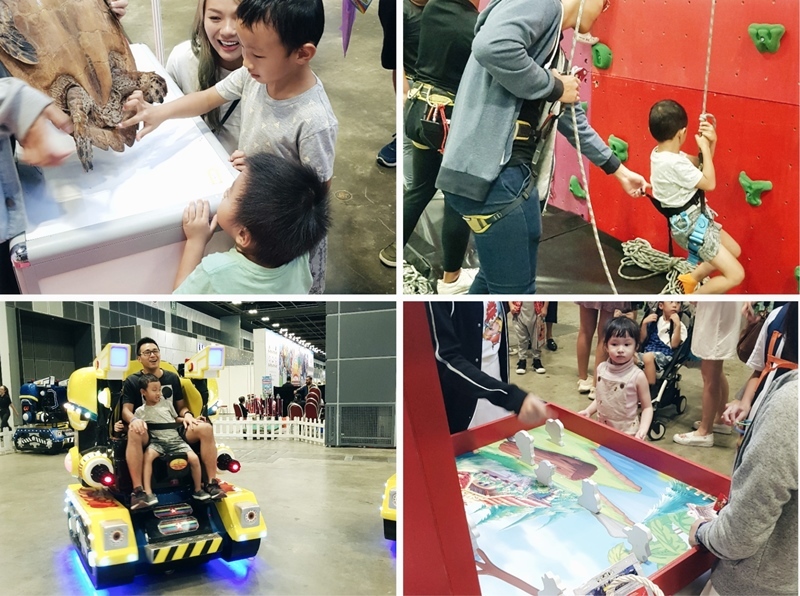 Unlike any other baby fair before, the Kids World Fair has heaps of activities to keep parents and kids occupied. I decided to go on both Saturday AND Sunday because there were just so many fun things to do. Besides all the trial classes and workshops that children could sign up for, many booths had experiential areas for the kids to play in. There were heaps of bouncy castles, and experiential booths like Kidzania which brought their Maybank banking jobs along with them for kids to play for free. Vitagen had a whole maze game going on to teach kids about our digestive system and they could win prizes. Loacker had a mini carnival-like game for kids to play and win loacker snacks. We just had to stop at almost every booth! HL Milk had a life-sized snakes and ladders board game for kids! There were also character meet & greets and stage shows to check out. On top of all that, there were 20+ carnival games and amusement rides like Robotic Rides, Trains, Flying Carpets, and Diggersite. My kids could not decide which they wanted to go on first! They only thing they knew was they wanted to play it all. Haha! The fair is very well organised. It took up an entire floor at the Suntec Convention Centre, the floor space is huge, making it a very comfortable fair to walk with kids and strollers. The pathways were spacious and even through there were over 180,000 people who visited the event in total over 3 days, we did not feel cramped at all. This is really important because there were many such fairs previously where we decided not to go because we thought it’ll be too cramped and uncomfortable especially if we have kids in tow.